We’d love your help. 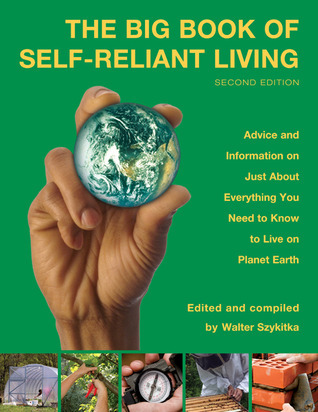 Let us know what’s wrong with this preview of The Big Book of Self-Reliant Living, 2nd by Walter Szykitka. Rural homesteaders and urban apartment-dwellers alike will find a mother lode of practical information packed into this completely revised and updated edition of the ultimate how-to handbook for all generations. 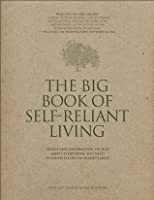 To ask other readers questions about The Big Book of Self-Reliant Living, 2nd, please sign up. It seems like a lot of these books want to be the "big book" you can fit in your emergency pack. Unfortunately the indexing is awful and there is no way I would be able to find what I was looking for in this large format, heavy book with tiny fonts. My other criticism is the paper quality: the absolute cheapest newsprint money can buy. One minor rainstorm: the book will be ruined. Fewer words (fast reading when stressed) and consistent graphics on a water-proof paper would be better. If you a Meh. This book made me laugh. It is a collection of articles and parts of others books compiled into an encyclopedia style tome. It is wackily out of order. Goes from energy generation to darning ripped clothing to saving energy. That being said, the information is fantastic. When we start our homestead, this book will be a key part of our library. I'm taking this one with me when I move out into the woods to live like the Unabomber. Without the bomb-making.